Is everyone ready for the next TCS challenge? 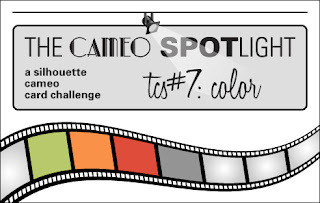 Today is the start of the The Cameo Spotlight #7 challenge which is another color challenge! The colors are apple green, bright orange, rich red, and medium gray. 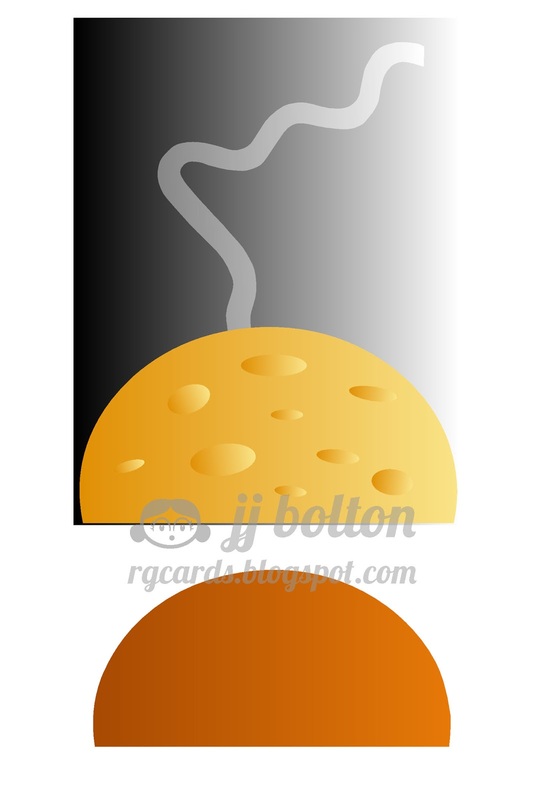 Of course, neutrals like black, white, and kraft are also included. I am completely excited to share that our sponsor today is none other than Paper Smooches! I'm a HUGE fan of Paper Smooches stamps:) Each set that Kim Hughes designs and illustrates is so well thought out with tons of stamps that can be mixed and matched. And the designs are super cute and fun! Check out The Cameo Spotlight site see what wonderful Paper Smooches prize is up for grabs this challenge! For my card today, I made a spinner card! (I cheated a little with the colors by adding the blue, shhhhh!) My little green man flies down in the spaceship to the awaiting astronaut. To get that mottled color in the planet, I colored yellow cardstock with an orange Copic marker. Then I put some colorless blender on a piece of paper towel and rubbed over the colored areas. 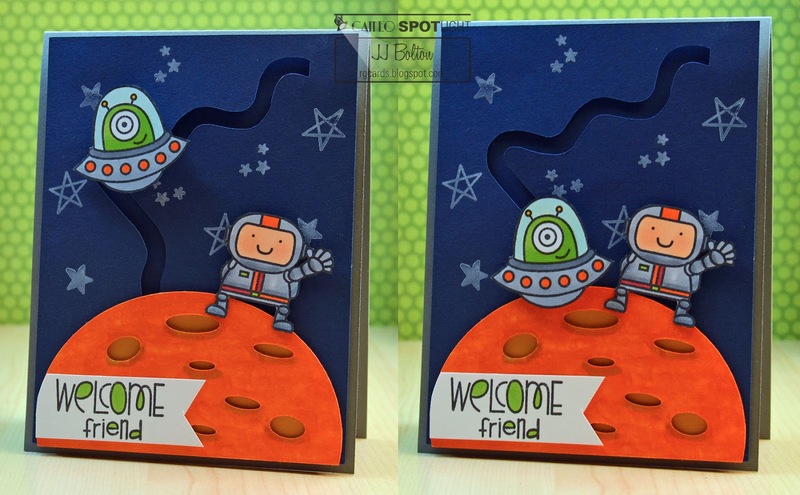 The alien, astronaut, and background stars are from the Space Cadet set. The sentiment is a combo of stamps from Autumn Groves and Surf and Turf. I have so much fun coloring and fussy cutting those PS images:) Here are some pics of the spinner in action! Thanks so much for stopping by! 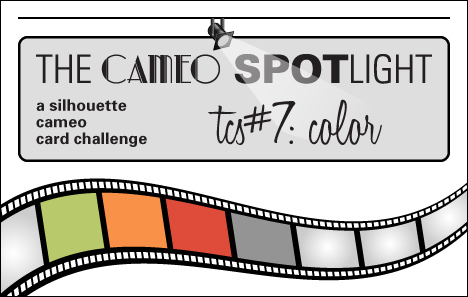 Now click on over to The Cameo Spotlight challenge site to see more Silhouette creations from the TCS DT! This is so stinkin' cute JJ. I love it! What a fun card JJ. Thank you for the free cutting file. OMG JJ! What a FANTASTIC design! Love it. I LOVE this JJ! The interative part is so cool, but the moon is also great! Love all the little holes in your template! Wow, I absolutely LOVE this card! It's super-cute! What a fun card - it's brilliant. Unbelievably awesome!! How much FUN is this? I mean, spinner cards are fun, but this is a whole new level - it really plays with the scene you created. Sheesh. It's a good thing you use your powers for good ;) We'd all be in trouble otherwise! Eeek! This is so clever and adorable! Love the bright colors and oh so much fun! 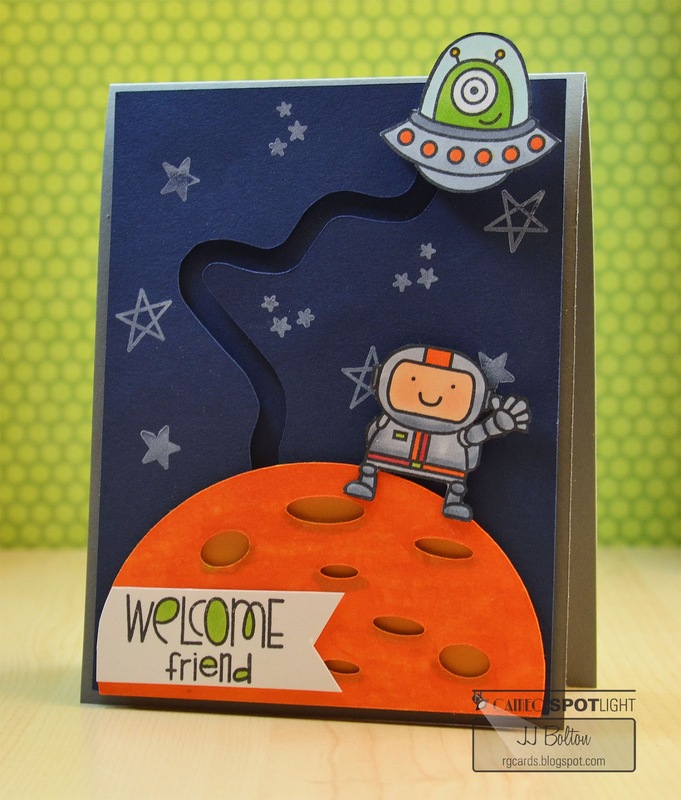 Such an adorable card and wonderful file! Special thanks for gifting it to your subscribers! Um, this is really cute! I like your design. How did you know the spaceship wouldn't get stuck sliding down when you designed it? 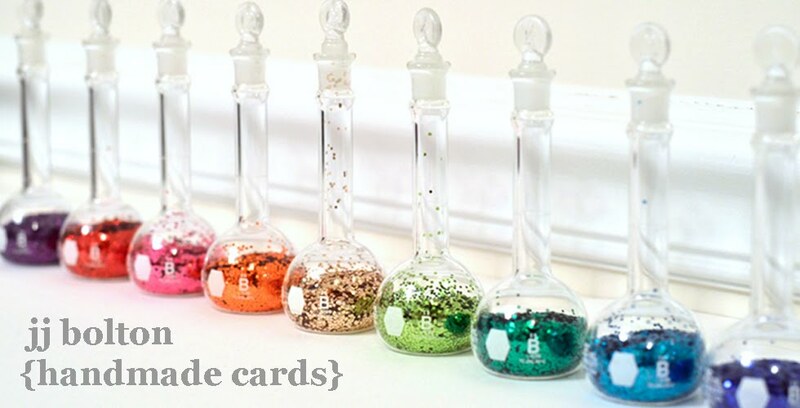 I featured this on my inspired post tonight, I hope I get a chance to make one.